​Jamaica Plain Gazette writes about Ride for the Living! On June 29, Jacqueline Nicholls and I will join an international group of bikers to ride from Auschwitz-Birkenau to Krakow! Please join our cause and support us on this 55-mile Ride for the Living! A mother and son, both descendants of Polish Holocaust survivors, decide to return to Poland in the hopes of finding their lost identity and a way to reconnect with each other. The plot takes an unexpected turn when Michael and Mary discover a vibrant contemporary world of Jewish life in Poland. Their journey will reveal a parallel narrative among Poles seeking a reconnection with lost Jewish identities. A new story unravels. ​We Keep Coming Back is performed by real-life mother and son, Mary Berchard and Michael Rubenfeld, as well as Katka Reszke, author of “Return of the Jew”. It is presented in a media rich environment, incorporating video footage, archival material, and music. The film I spent 7 years working on as chief Screenwriter and Co-Editor is now 'long-listed' among 124 feature documentaries submitted this year for Academy Awards consideration. Karski & The Lords of Humanity​ directed by Slawomir Grünberg​ opens next month in theaters in Los Angeles and New York, preceded by a special screening at Georgetown University on November 5th 2015. 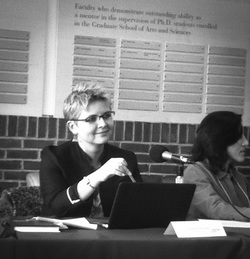 "Katka Reszke to Attend 2015 ROI Community Summit in Jerusalem"
Westchester Jewish Life: "Katka Reszke to Attend 2015 ROI Community Summit in Jerusalem"
One-hundred fifty of the Jewish world’s leading change makers from 32 countries will convene in Jerusalem on June 7-11 for the 2015 ROI Summit, ROI Community’s flagship program. ROI Community is an initiative of the Charles and Lynn Schusterman Family Foundation. Over the five-day gathering, these change makers will embark on a journey of pausing, experimenting with new forms of expression and shifting perspectives, ultimately leaving them with renewed motivation, ideas and professional skills and connections to bring back to their communities. This year’s participants bring a diverse set of skills and talent -- including app developers, crusading journalists and toy designers -- to their efforts to build a thriving Jewish future and a better world. 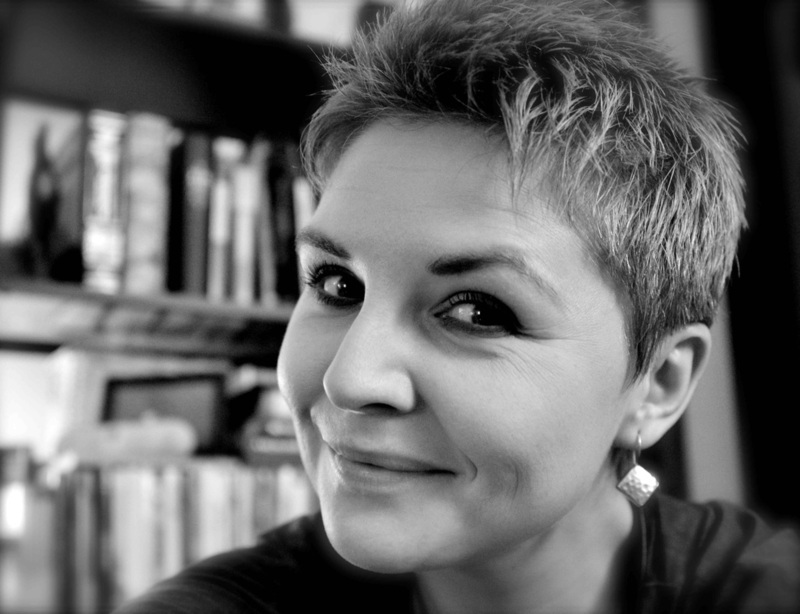 Among the ROI participants will be Katka Reszke of Yonkers, who is a writer, documentary filmmaker, photographer, and researcher on Jewish history, culture, and identity. She is the author of the acclaimed “Return of the Jew” and her recent films include Shimon’s Returns, Coming Out Polish Style, and Magda. in contemporary Polish-Jewish identity narratives. has given us a book that helps explain the complexity of Jewish life in modern Poland." Click on the photograph to read the story published on Stories of Polin - a portal of POLIN - Museum of the History of Polish Jews. "The Meshugene Effect" is a book and documentary film currently in preparation. Click here for more on "The Meshugene Effect"
Share your history. Reflect on your encounter with Jewish culture and history – people, family or friends or heroes, stories you’ve heard and books you’ve read. What did you find inspiring? Write about it. Send a short movie, an animation, a photograph, a drawing, or a piece of music. Inspire others. We Keep Coming Back is a performance work exploring how the disconnect from family both parallels and is informed by the disconnect from place. Michael Rubenfeld is a theatre artist living in Toronto. He has a complicated relationship with his mother, Mary. Mary was born in Sweden to Jewish refugees from Poland. Yet no one in his family identifies as Polish, or Swedish. In his early 30s, Michael starts to question his feelings of detachment from his mother, from being Jewish, from Poland. Are these feelings of disconnection all connected? Can a mother and son find a way back to each other by going back to their family roots and by making a play about it? How does modern-day Poland play into their personal quest? They set off to Poland and Sweden with director Sarah Garton Stanley and hire a Polish videographer, Katka Reszke, who happens to be on an identity quest of her own. In a multimedia, sonically-driven presentation, Michael comes together on stage with Mary, Sarah and Katka to tell and retell the story of their trip replete with serendipitous discoveries, faulty memory, charged interactions, unexpected humour, the shadows of war, and the promise of writing a new narrative. The way many in the Jewish community talk about "identity" does not capture the complex ways in which people understand their Jewish commitments, engage with Jewish communities, and enact Jewish practices. If Jewish education is to respond to the needs of American Jews and their communities in the 21st century, we need to rethink the assumption that Jewish identity is the goal of Jewish education. This podcast captures the conversation at a recent Brandeis University conference to "rethink" Jewish identity. "In Polish city, a wedding celebrates Jewish rediscovery and revival"
>>The museum is a shared responsibility of both Jewish and non-Jewish Poles, said Katka Reszke, author of Return of the Jew (Academic Studies Press), a book exploring identity issues among young Jews in Poland today. Konstanty Gebert on Katka Reszke's book "Return of the Jew". YIVO presents Katka Reszke’s book Return of the Jew: Identity Narratives of the Third Post-Holocaust Generation of Jews in Poland, published by Academic Studies Press. Author’s presentation and Q&A session was followed by a reception and book signing. The event was presented by YIVO in partnership with the Museum of the History of Polish Jews. Sounds Jewish PODCAST: the Jewish revival in PolandWriter Denise Grollmus goes on a personal journey of Jewish discovery in Poland, the country where 3 million Jews were murdered by the Nazis during the second world war. Featuring Katka Reszke, Slawomir Grünberg, Rabbi Michael Schudrich, Jonathan Ornstein, Slawek Pastuszka and more! 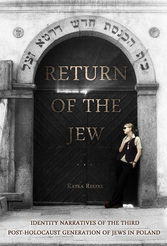 FIRST REVIEWS FOR "RETURN OF THE JEW"
RETURN OF THE JEW is now published! A new 'unexpected' generation of Jews made an appearance in Poland following the fall of the communist regime. Once home to the greatest Jewish community in the world and then site of the biggest tragedy in Jewish history, today Poland experiences what some have called a 'renaissance of Jewish culture'. Simultaneously, more and more Poles discover their Jewish roots and begin seeking forms of Jewish affiliation. Can there be 'authentic' Jewish life in Poland after fifty years of oppression? Return of the Jew offers the first in-depth study of identity narratives of the third post-Holocaust generation of Jews in Poland. It provides a revealing account of the experience of being or rather becoming Jewish vis-à-vis uniquely compelling circumstances. Academic Studies Press now has "Return of the Jew"
listed as one of it's Fall-Winter Highlights!